Endless options available with this property! Quaint 1937 bungalow located on front portion of 2.27 acres in Forest Hills. Home features 4 bedrooms with a 2nd bathroom located in the outside laundry/utility room. Oversized living/dining combo great for large gatherings. This floorplan is multipurpose, can use one bedroom as an office and another as additional entertainment area if desired. Nice sized screened back porch overlooks wooded lot that backs to conservation. 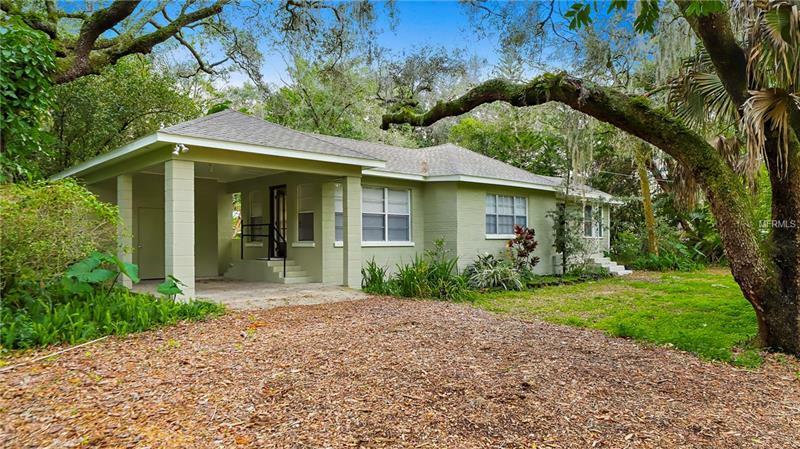 Live in the bungalow while building your custom dream home or subdivide the land. Currently zoned RS-60 and can be subdivided into 2 separate lots or entire parcel may be rezoned to RS-10 for multiple homes or small townhouse community. Conveniently located to 275, USF and downtown, sporting venues and only minutes to a golf course.